Five classic Disney favorites in one tongue-twisting medley! You'll have a great time rehearsing and performing this easy 6-minute medley for young choirs. 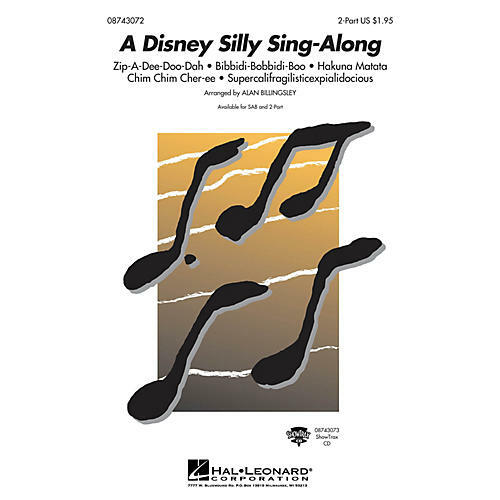 Includes: Zip-A-Dee-Doo-Dah, Bibbidi-Bobbidi-Boo, Chim Chim Cher-ee, Hakuna Matata, Supercalifragilisticexpialidocious.Available separately: SAB, 2-Part, ShowTrax CD. Performance Time: Appox. 6:30.